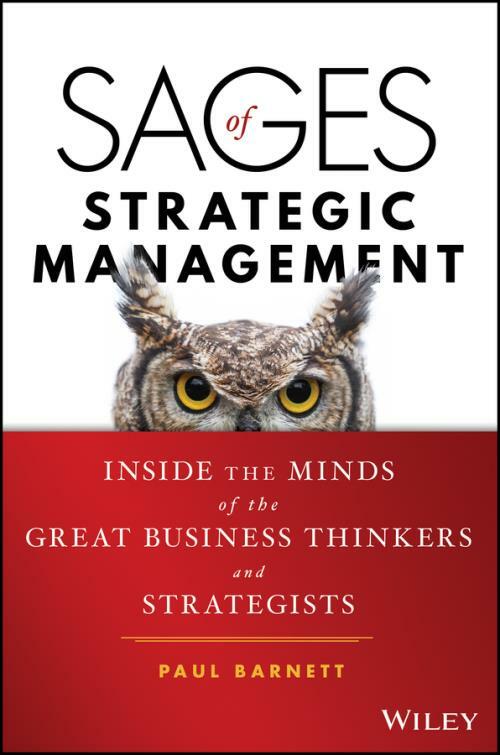 Sages of Strategic Management features the latest razor sharp insights from some of the most important management thinkers, and an exploration of the most important and urgent management issues. Each expert interviewed brings decades of experience to bear on enduring and topical matters from financial management, leadership, and organizational design to competition, collaboration, and competitive advantage. And from technology driven disruption to stakeholder versus stockholder focus and emerging opportunities and risks. Skip the learning curve and be more effective in your role as a benefit of their wisdom. Integrate the perspectives of research, consulting, teaching, and practice to gain a more holistic view of today′s management challenges, and the knowledge base to take on and overcome them. One of the most basic tenets of business is that it evolves. Managers who fail to keep pace quickly find themselves left behind, but blindly jumping on the latest bandwagon can easily stall forward progress. In some ways, the more business changes, the more it stays the same and this book gives you a clear set of perspectives from those with the most respected credentials. The role of manager means grappling with the big issues. Scaling operations, making sense of complexities, and keeping up with the increasingly rapid pace of change; there′s no instruction manual, and trial and error can be costly. Sages of Strategic Management synthesizes the thoughts of the field′s top experts to leave you better equipped for anything that comes your way.